In any relationships, and that includes business, communication is one of the most powerful key to success. Your customers and potential clients are the lifeblood that supports the breathing line of any enterprise or business in the world. Thus, communicating with them on a regular basis can play a big role in establishing longer and hopefully, lasting patronage. There are a lot of methods to reach out to your customers and one of those is by emailing. How does Email Marketing help especially your online business? Several reasons why communicating with new customers can boost up your chances of garnering a loyal customer. While there are a few who would opt out for email communications, there are still a good number of people who actually enjoys receiving offers, specials deals or promos on their inbox. It gives them the sense of “being valued” since options and choices for a better package or service for example are being provided to them. It broadens their perspective as a potential consumer of your product. In your part, well of course this can add to the chances of closing a sale of course. It also allows you to introduce your existing as well as newer products; although primarily your objective is to build a line of communication with new customers and to maintain links with the old. For apparent reasons, using Email Marketing would be an inexpensive tool to market products and services. You can spend thousands of dollars printing out ads and mailing them to people’s mail boxes. Sending electronic mails on the other hand is practical plus it allows you to send to as many individuals with lesser fuss and cost compared to direct mails. With the use of some dependable applications, you can constantly check responders to your emails. It is also a lucrative environment to acquire people’s ideas, the things they prefer, the things they don’t want and so on. These pieces of info are indeed extremely valuable especially for an online-based business. With spamming hitting our inboxes, we couldn’t blame many people to hate receiving emails from various companies. Thus, building trust between you and your prospect customers is a very crucial stage. You can sort of recreate this marketing tool into something that truly enhances and builds relationships with your contacts. Providing great information content in the form of an electronic newsletter is a creative way to initiate this. It gives them relevant information while integrating your products and services along the way. You can have this as an option in your website and thus be able to heighten your chances of gaining and maintaining a gold mine of customer contacts. It is a challenge to meet and greet prospective clients; however, if you know how to handle communication with great concern for people and not just to focus on pitching that sale, Email Marketing will let you discover a whole lot of business potentials between you and your customers. 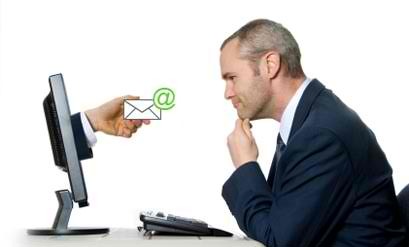 To know more about Email Marketing, visit this page.